As you can see below, only 16 entries for the first country-wide census in 1841, with the majority of them in Shropshire and involved in lead mining, just 4 involved in coal mining, 3 of those being in Staffordshire. It should be remembered that, in 1841, Herefordshire and Shropshire were the largest two counties in terms of Preece numbers. 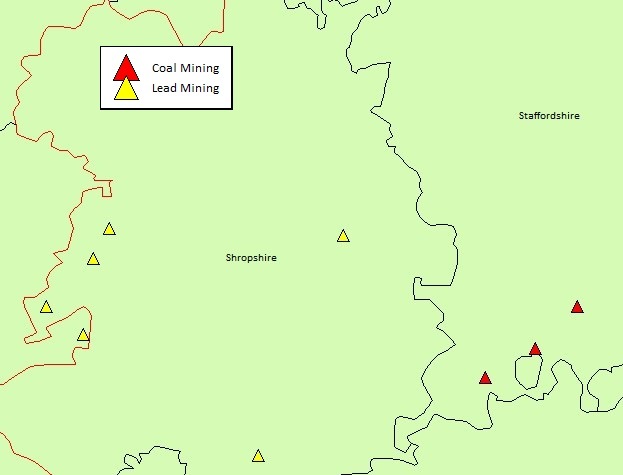 Interestingly, despite mining certainly going on at this time, no entries appear for Gloucestershire, in particular the Forest of Dean. Over the 10 years since the census year above, the numbers involved in mining has more than doubled. 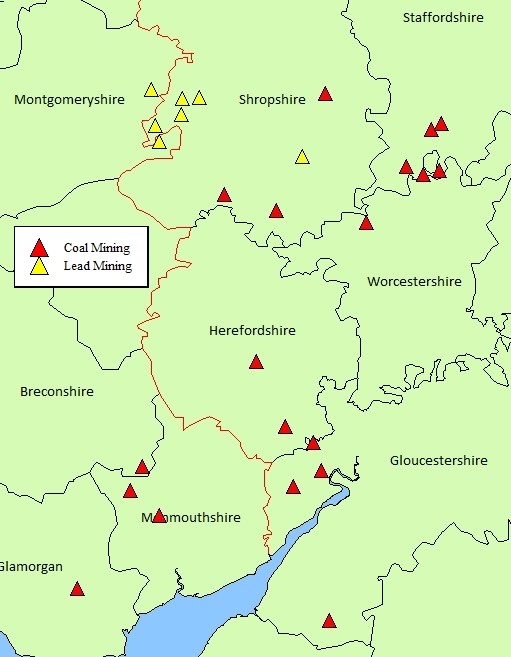 There are now 18 involved in lead mining - in Shropshire and over the border in Montgomeryshire - and 25 in coal. The areas have started to grow - quite a cluster in the Forest of Dean in Gloucestershire now, and the Staffordshire "Black Country" area has started to attract more Preece families from nearby counties - only 2 from the 6 named above are from the county itself. Despite all of this, the counties are still in the south of Wales and the Midlands at present, for example the Lancashire coalfield was only now on the edge of a large expansion and as yet no Preece families have found their way north.